As our website is in Dutch, we would love to give you a small peek into what we do with this short introduction. If you need more information or just want to have a chat, please let us know. Worldwide we waste 1.3 billion tons of food: that’s one third of the entire food production. At the same time, 1 billion people worldwide are in need of food. And the world population continues to grow to more than 9 billion people by 2050. Almost half of all the food that is wasted, is made up by fruit and vegetables. One major reason of why fruit and vegetables are wasted is because of the extreme focus on aesthetics. 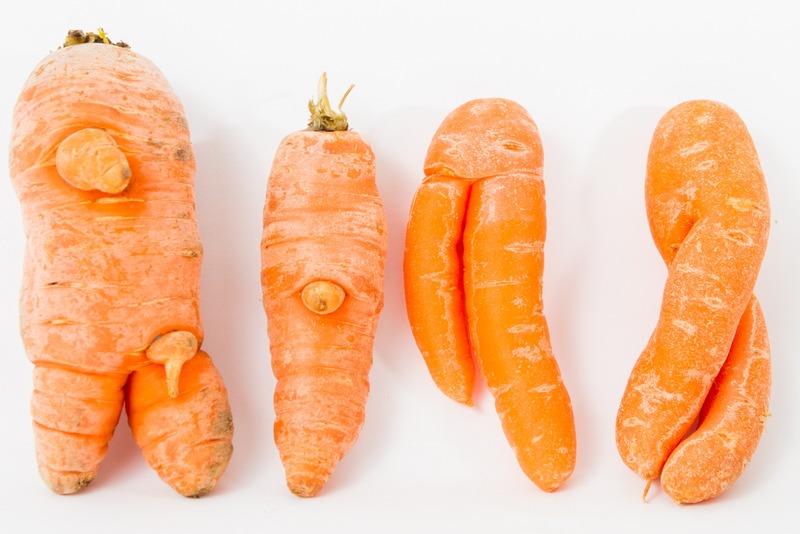 About 10-20% of fruits and vegetables gets wasted because of looks. This can partly be explained by past EU legislation that restricted the sale of “wonky” fruit and veggies. However, after 2009 the law became less strict. Still these wonky veggies and fruits hardly ever make it to the shelves. It seems like we got used to the “perfect quality”. And that is where Kromkommer comes in! We believe that you can never make big change happen on your own. Therefore we work with our community, that we call the Krommunity. 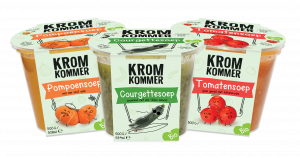 The Krommunity consists of farmers and growers, stores, retailers and fans. Together we can do big things and make change happen. Because we believe in the power of our Krommunity, we use crowdfunding as a tool to launch our products. In January 2014 we started a crowdfunding campaign in order to make our dream come true: to bring the wonky veggies back to the consumer with our own product line. In two months 865 wonky lovers contributed €31,765! And that was enough to start the production of three wonky veggie soups. As we speak the soup can be bought at over 150 stores and restaurants throughout the country. Currently we sell 9 different flavours and more are on their way! And in September 2018 we launched a line of organic fresh soups. Because also organic wonky vegetables need a place to shine. 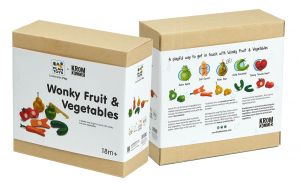 We want to share our love for wonky fruit and vegetables with as many people as possible. We do that with our products, but also with inspiring campaigns. For example, we celebrated the Bijna Waste Geweest Feest (a bit hard to translate, but let’s say “The save- the-almost-waste-party”) where with crowdfunding we rescued 10.000 kilo’s of crooked veggies and fruits that otherwise would have turned into waste in one day. 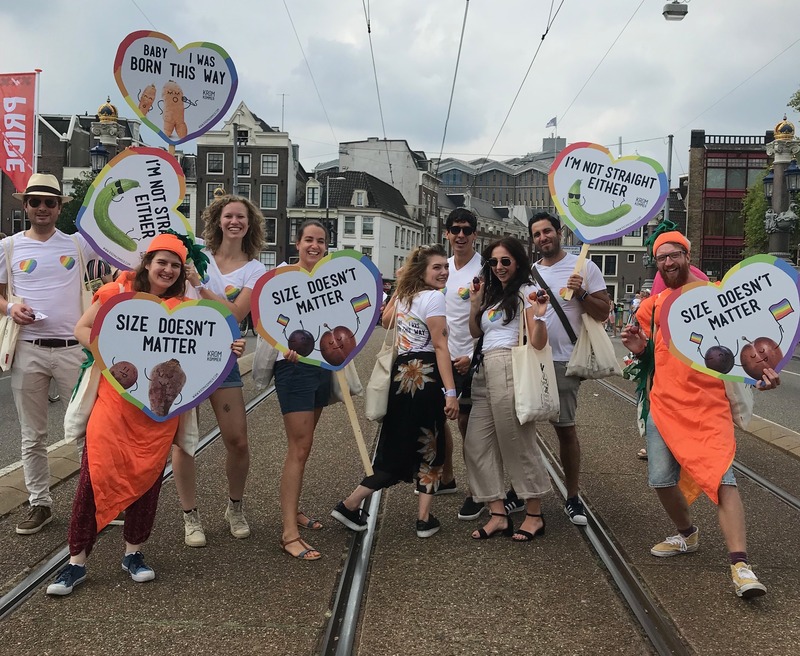 You could also find us at the Pride Amsterdam with cute, small plums, because “Size doesn’t matter”! We opened the first Wonky Vegetable and Fruit Store in the country and hosted a wonky fruit and vegetable museum at Mysteryland. In 2018 we focused our wonky powers on politics and the European trade norms and made these a priority of our minister of agriculture. You can read our vision on this topic here. It is our goal to not exist anymore. Because if we do our job right, all wonky fruit and vegetables end op on the supermarket shelves and not in our products. But, we’re not there yet! 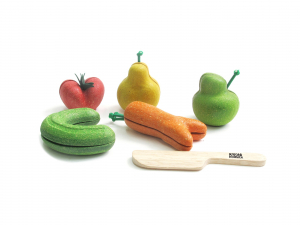 That’s why we took our next step and developed a wonky fruit and vegetable play set together with sustainable toy brand PlanToys. With these toys, we want to reach as many kids as possible and teach them about wonky produce. We launched the set with a crowdfunding campaign in the Netherlands in October 2018. And now the wonky toy family is ready to take over the world whoohooo! It is finally time to bring the wonky heroes to the attention of little kids in the rest of the world. Since March, 2019, the playset is available for sale in all PlanToys countries worldwide. Go to plantoys.com to find where you can purchase a wonky playset nearby. And as always, we are up to new adventures…. Do you want to join us in our mission for equal rights for all veggies and fruits? Join our Krommunity!